Rain or shine, Glaro umbrella stands and umbrella holders are the perfect solution. These attractive and functional rustproof all aluminum indoor umbrella stands and umbrella holders will neatly store umbrellas on dry and wet days. Umbrella stands and umbrella holders help reduce dangerous slips and falls. Keep floors dry and safe during rainy and snowy days. Glaro umbrella stands and umbrella holders are offered in a variety of designs and sizes and accommodate full size and tote style umbrellas. 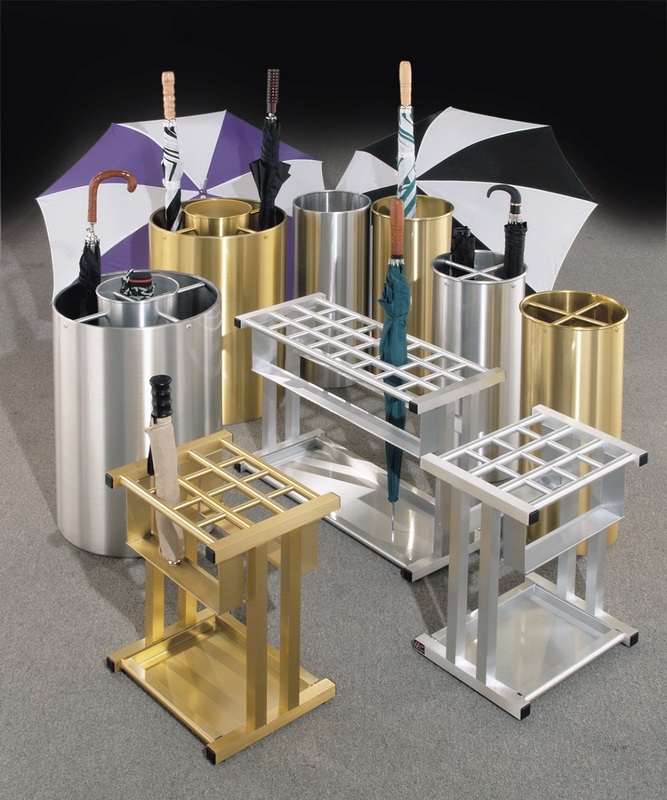 Select Glaro umbrella stands and umbrella holders in either satin aluminum or tarnish proof satin brass. Wet floors are slippery and may result in “slip and fall” injuries. Help keep floors clean, dry, and safe! As visitors enter indoor areas offer Glaro’s solution to managing dripping wet umbrellas. Glaro manufactures the most comprehensive selection of attractively designed, all aluminum wet umbrella bag holders. Choose a floor standing or wall mounted bag holder available in three durable rust/tarnish-proof finishes – satin aluminum, satin black and satin brass. 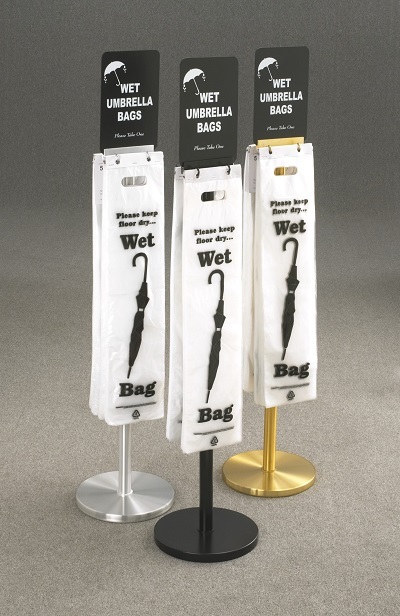 Place Glaro Wet Umbrella Bag Holders in lobbies, entrances, parking garages, coat check areas, by elevators and escalators too.